The capital of the department of Santander in Colombia. Click for more information. ¿Cómo llegar? - ¿How to get? Aerial and land routes with the main cities of Colombia. Click for more information. 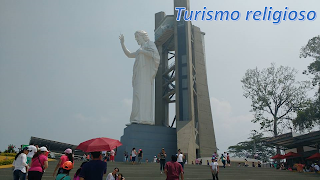 The cities of Girón, Floridablanca and Piedecuesta are part of the metropolitan area of ​​Bucaramanga. Click for more information. International Hospital of Colombia, Cardiovascular Foundation, FOSCAL and FOSUNAB. Click for more information. The city has many churches that stand out for their architecture. In Easter various activities such as processions and pilgrimages they develop. Click for more information. The city of Bucaramanga is characterized because it has a variety of shoe factories. Additionally, it has many shopping centers that make it a good place for shopping tourism. Click for more information. 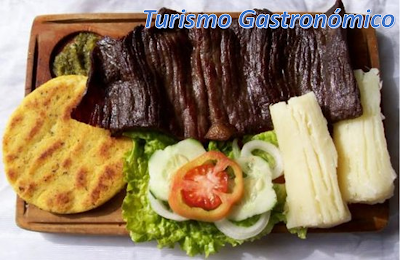 Bucaramanga is known for its cuisine through various dishes like Mute Santandereano, the roast meat, pepitoria, arepas Santandereanas , tamal Santandereano and the ants known as "hormigas culonas". Click for more information. Bucaramanga is known as the university town because of the large number of universities with quality that counts. Click for more information. 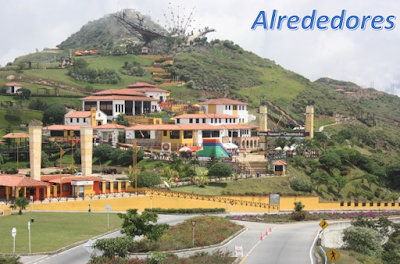 Natural parks, colonial villages, extreme sports and more in its surroundings. Click for more information. 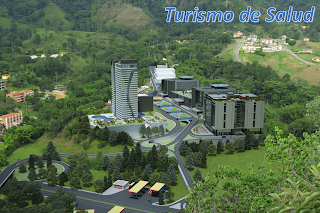 Ecological tourism, health tourism, to practice extreme sports and for business trips, all near to Bucaramanga. Cañon del Chicamocha: Segundo cañon más profundo del mundo. / Chicamocha Canyon: Second deepest canyon in the world. 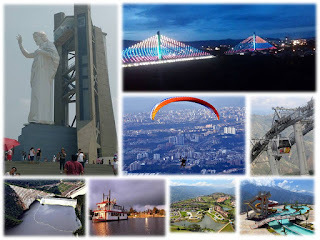 Bucaramanga: Una de las 6 ciudades más prósperas del mundo. / Bucaramanga: One of the 6 most prosperous cities in the world. Bucaramanga: La ciudad más competitiva y sostenible de América Latina. 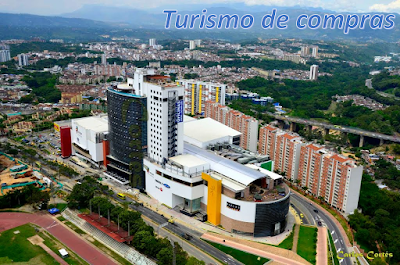 / Bucaramanga: The most competitive and sustainable city in Latin America. Barichara: El pueblo más lindo de Colombia. / Barichara: The cutest town in Colombia. Barichara, Socorro y San Juan de Girón: Pueblos Patrimonio de Colombia. / Barichara, Socorro and San Juan de Girón: Heritage Villages of Colombia. ¡Cuéntale al mundo que Colombia es sabrosura! Tierra de soñadores y de experiencias inolvidables, donde el océano y la nieve conviven en el mismo lugar; donde los paisajes frondosos y los ríos espesos descritos por la historia y las grandes obras literarias se colman de suspiros a expensas de sus visitantes. Un país donde cada experiencia resulta indescriptible y fascinante a la vez. Tell the world that Colombia is tasty! Land of dreamers and unforgettable experiences, where the ocean and snow coexist in the same place; where the leafy landscapes and the thick rivers described by history and the great literary works are filled with sighs at the expense of their visitors. A country where each experience is indescribable and fascinating at the same time. Pues esto es lo que espero cuando vaya a visitar a la zona y sobre todo tener un domicilio en bucaramanga que sea de primera calidad. Que bueno contar con blog como este que te refleja y te enamoran con sus fotos y relatos que ofrece este bello lugar.